A study following 1.000 people up found long-term cannabis smokers are at a higher risk of gum disease, but not physically worse off than non-smokers. Cannabis has long been demonized; yet, new research suggests there may be hardly any risks at all to its use, with the scientific journal JAMA Psychiatry recently published a study indicating that long-term cannabis use may lead to gum diseases, but to no other major illness. It is pretty major news! Just make sure you brush and floss your teeth often! The study was led by Madeline H. Meier of Arizona State University and conducted in collaboration with Duke University of North Carolina, King’s College in the UK, and the University of Otago in New Zealand. The research team looked for correlations between cannabis smoking and some common health measures, such as blood pressure, lung functionality, systemic inflammation, cholesterol, triglycerides, glucose control, body mass index, and waist circumference. Participants recruited for the research were all long-term cannabis users, followed over 20 years from the age of 18-38. 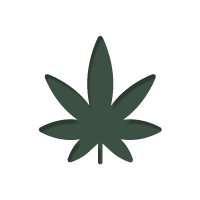 The results of this study seem to show that long-term cannabis smoking may increase the probability of developing a periodontal disease, eventually with inflamed and retracting gums. The researchers underlined that no other common indicators of a poor physical health were identified among the 1,000 participants that took part in the study. This may be surprising to general public prejudices, usually assuming cannabis users to be people with little care for themselves. Among the volunteers for this study, 55.6% of the people who smoked cannabis for 15-20 years had developed a periodontal disease. Conversely, only 13.5% of the people in the same age group who never smoked cannabis had a gum disease. Scientists’ conclusions indicate that physicians should explain to their patients that long-term cannabis smoking can put them at risk of losing some teeth. It is worth noting that this study only takes smoking into account, with no mention of those who only vaporize or ingest cannabis. Anyhow, this study clearly shows that if anything, cannabis smokers need to pay particular attention to their gum health. It’s important to brush teeth regularly and floss carefully to remove any small part of food, so don’t be shy of sticking your fingers deep inside your mouth. With a regular floss, the bacteria which cause gums recession are going to have harder times colonizing the smokers’ mouth. Regular deep teeth cleaning by a professional is also a good idea. Now that cannabis is on its way to normalization across the world, further research is needed to understand its real effects on our health. Science seems to indicate that regular cannabis use does not prevent healthy living, so let’s focus on healthy food, an active lifestyle, and peace of mind.